This dress is sure to steal all the stares girl. 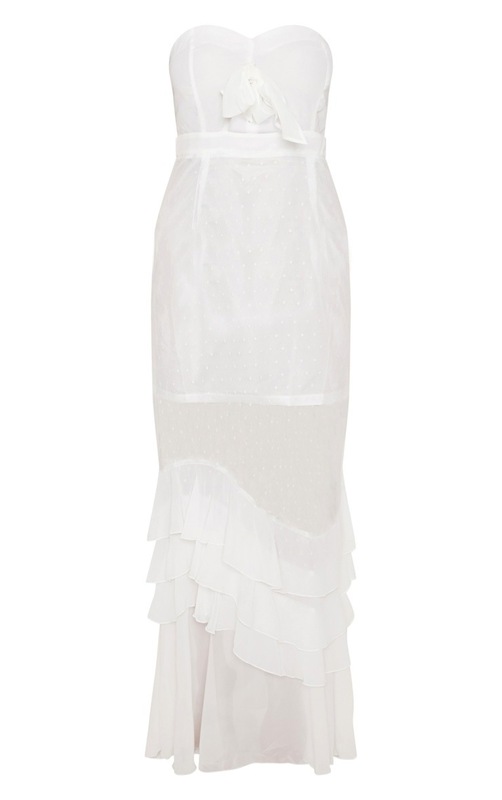 Featuring a white material with a bandeau neckline, dobby mesh overlay and frill detailing. Team these dress with barely-there heels and some statement jewellery to complete the look.